There are many situations where organizations, companies and groups of people work within a single Twitter account. This, in many cases, can lead to security issues considering everyone has to use/have access to the same master password for that account. While this can work most of the time, issues arise when team members move on from the organization, among other scenarios I am sure you can imagine. 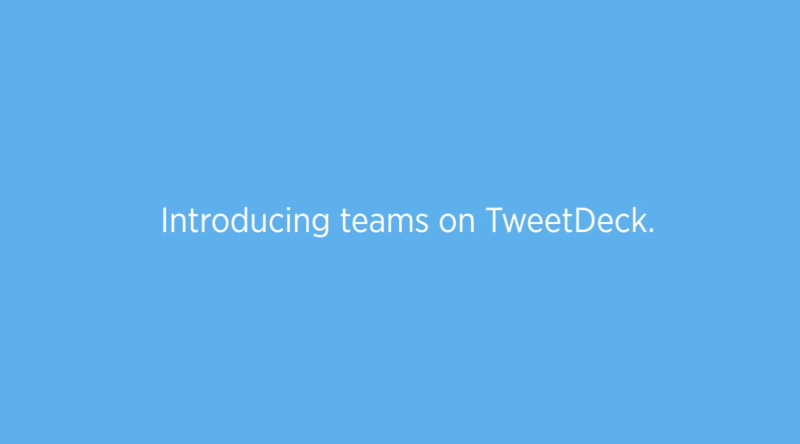 While almost hard to believe it didn’t already support such a feature, TweetDeck is introducing a new Teams set-up to keep things safe and convenient for group tweeters. Much like what you would find in other shared account access situations, there is now a two tier password system allowing for both administrators and basic contributors. An administrator has full access to the account including making and creating new top level contributor accounts/passwords, where as contributors are limited to basic tweeting and have no access to that account’s master password. Along with new Teams based notifications built right in to the traditional Tweetdeck UI, contributors will have to use TweetDeck in order access the shared Twitter account in question. Only admins will be able access to the shared account outside of TweetDeck. For groups that are already sharing a Twitter password with employes/group members, you can simply switch the password and move over to Teams to “ensure that from now on only the people you’ve just added will have access.” It is highly recommended that login verification still be used for both contributors and admins within Teams.